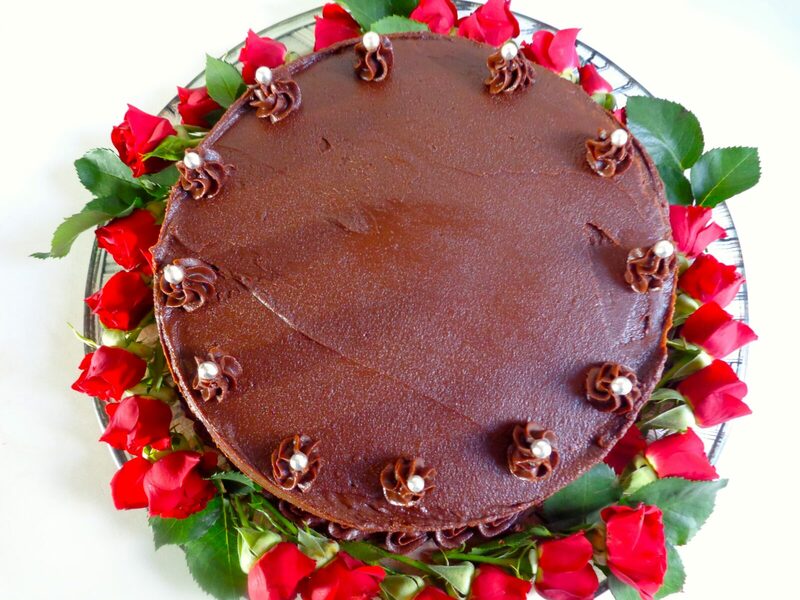 Valentine’s Day is coming, and what better way to express your love than a magnificent chocolate cake decorated with hearts or flowers? This is not an everyday recipe — it does take time. But it’s fun. 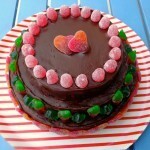 The cake, a chocolate genoise, can be assembled in many forms. You will be both architect and artist as you build a structure, coat it with glossy buttercream icing, and decorate it at your whimsy to make a one-of-a-kind creation. The cake pictured above was made recently for the 45th wedding anniversary of some friends here in Paris. It’s amusing to watch as the guests attack the cake — sometimes layer by layer, but sometimes they go straight on through to get multilayer slices. 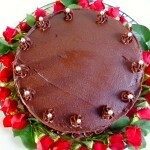 The cake is sprinkled with cognac inside, and the layers spread with both jam and icing. If kids are involved, you can skip the cognac. For birthdays, try to find long, thin candles, which make a spectacular impression placed close together around the top of the cake. One unusual way to decorate such a cake is with fresh flowers. I’m a fan of roses, but have used many other varieties according to the season. For greenery, you can add some fresh herbs — sage, for example — or snipped pine branches at Christmas time. The one thing I can guarantee is that you will enjoy yourself as much as the contented recipients of your creativity. Happy cooking! On a different subject, I shop every Sunday at a street market near my home that is one of the best in Paris. For a colorful description, see this recent blog post by my friend Adrian Leeds, a regular chronicler of things Parisian, whose recent trip to the market in search of artichokes makes a fun read. 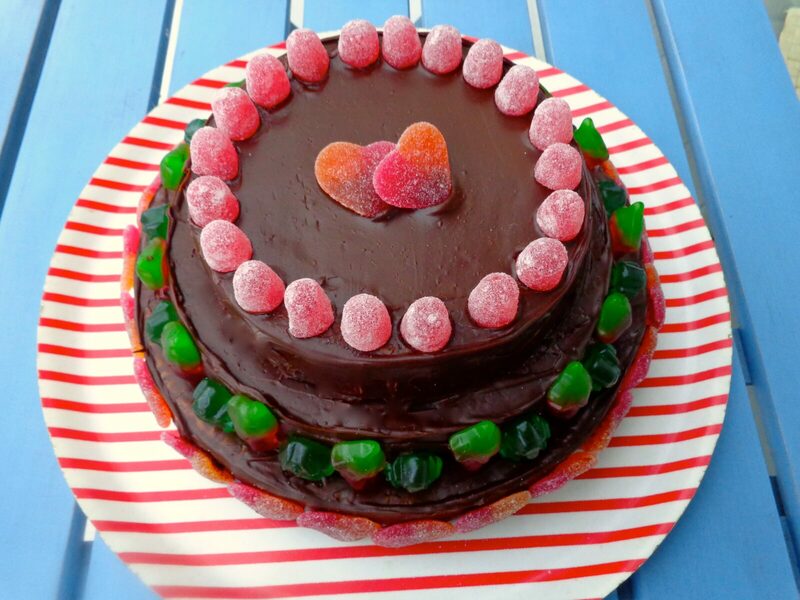 This entry was posted in Desserts and tagged birthday, buttercream icing, cake decorating, chocolate cake, genoise, recipe, wedding. Bookmark the permalink.